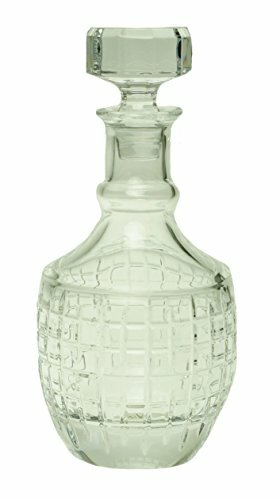 This exquisite decanter is crafted from glistening lead crystal, making it an artful, elegant barware essential. Etched barrel silhouette with coordinating faceted stopper. Sweeping neck with graceful turned-out lip. Capacity: 28 oz, 8" tall. Reed & Barton, Thomas O'Brien New Vintage Hanson Crystal Decanter 871743 32 oz.